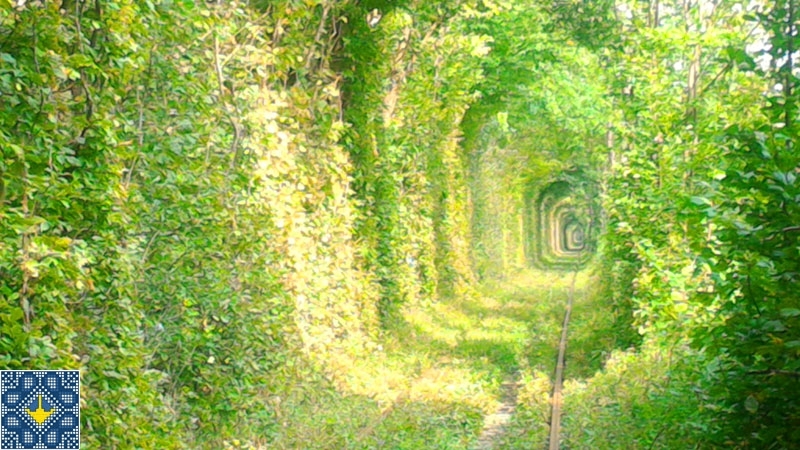 Tunnel of Love - one of the most romantic sights in Ukraine which always attracts romantics and honeymooners. It is believed that there are a couple in love can make a wish together and if the love is real then it will come true. Railway of Tunnel of Love stretches for 1 km and the railroad connects Klevan with Orzhevsk Woodworking Plant is around 3 km. After the workers of the plant not actively using the railway and therefore do not cut the trees they very thickly covered with vegetation. Branches of trees intertwined to form the walls and ceiling, colorful and neat having generated at Tunnel of Love. Go through this Tunnel of Love extraordinarily beautiful in spring, summer or autumn. Locals say that Tunnel of Love is also very beautiful after a heavy snowfall in winter. Tunnel of Love is considered "a place of blessing" for couples. Unique landscaping of Tunnel of Love created directly by nature and the train with several cars that passes through the tunnel and comb out branches of trees maintaining the shape of Tunnel of Love. Soon on the initiative of the local administration in Tunnel of Love will go a Romantic Tourist Train which will allow tourists and visitors comfortable and easy to feel unbelievable experiences and create a romantic sensual atmosphere. You could visit Klevan Sights | Romantic Tunnel of Love by private car (2 days / 1 night tour), Ukraine Tour | Romantic Ukraine (3 days / 2 nights tour), Ukraine Tour | Romantic of Carpathians (4 days / 3 nights tour), by helicopter Robinson R44 (1 day tour) or large Ukraine Tour | Ukraine West Ring (11 days / 10 nights tour). 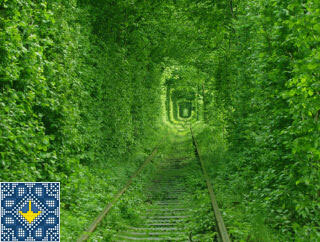 Visit of Tunnel of Love leaves a romantic mood, unusual emotions and someone will give hope for true Love. Tunnel of Love Tour is also very popular as wedding and honeymoon special moment. 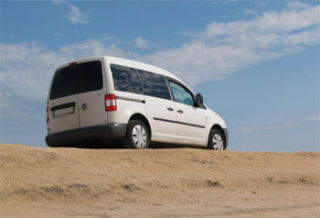 Transfer from Kiev to Zhytomyr: Nature Monument Rock Chatsky Head and Transfiguration Cathedral. Transfer to Rivne: Rivne Brewery with tasting of five different types of beer. 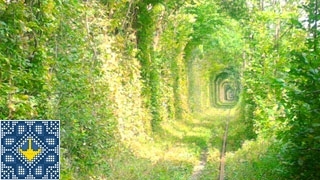 In spring, summer, autumn and winter visiting Romantic Ukraine Tunnel of Love (evening view). Mead wine tasting in Zorya. Transfer to Lutsk. Night in hotel. Tour of Lutsk Lubart's Castle, Church of Saints Peter and Paul, Lutsk "House with Chimeras" (House of Sculptor Nikolai Golovan). Transfer from Lutsk to Tarakanivskyy Fort, next to Sergei Pavlovich Korolyov Museum of Cosmonautics (capsule with lunar soil) in Zhytomyr, Restaurant Yellow Plane with Aircraft Yak-40 and then to Kiev. *in case of wedding or honeymoon of Tunnel of Love Tour the hotel accommodation could be changed for more higher class for additional payment as well as use limousine service or helicopter charter. Transfer from hotel in Kiev to Kiev Heliport. Flight from Kiev to Tunnel of Love (around 2 hours). Walking tour of Tunnel of Love (30 minutes). Flight from Tunnel of Love to Kiev (around 2 hours). Transfer from Kiev Heliport to hotel in Kiev. Maximum number of tourists - 2 persons. 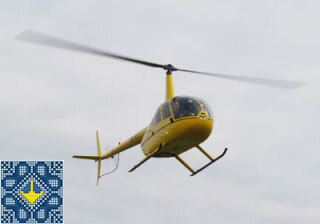 If your group is larger - we could offer for the helicopter tour more larger helicopters - Eurocopter EC120 (3 passengers), AS350 (3 passengers), EC145 (7 passengers), Bell 407 (4 passengers). Just completed the two day Tunnel of Love tour with Pavel. Although there is a lot of driving Pavel managed to break up the tour nicely with lots to see on the way and on the way back. 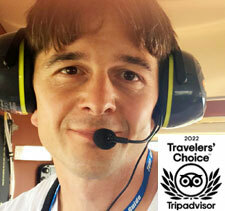 Pavel is a wealth of knowledge and kept up a commentary on the history and interesting points of the places we visited. While still allowing us to sit back and appreciate the view I could not recommend Pavel more highly. Even when we ran into some car trouble Pavel handled it with professionalism and we still managed to see all of the sites on the way. Thanks Pavel for a great tour.